The historic landscape area of Whiteford Burrows covers an area of wind blown sand dunes to the east of Whiteford Sands from Whiteford Point to Hills Tor. This is the largest dune system in Gower. The area's western boundary is the mean high water level as depicted on 1:10000 OS map, inter-tidal estuary mud and sands and salt marsh bound it to the north and east. No evidence of human activity before the medieval period has been recorded, apart from a barbed and tanged Bronze age arrowhead found in the sand in 1946. It is thought that these dunes have only been in existence from the late medieval period; therefore earlier archaeological features are likely to be buried beneath the dune system. Evidence from caves close by in HLCA006 indicates occupation in the general area from at least the Mesolithic period. The dominant remains in this area are medieval middens (00002w, 00046w, 00047w, 02869w, 02877w) dating between the twelfth and fourteenth centuries, demonstrating exploitation of the marine resource and possibly linking to the fish weir (00913w) in HLCA002. The middens largely consist of mussel, cockle and oyster shells and burnt stones with some pottery. 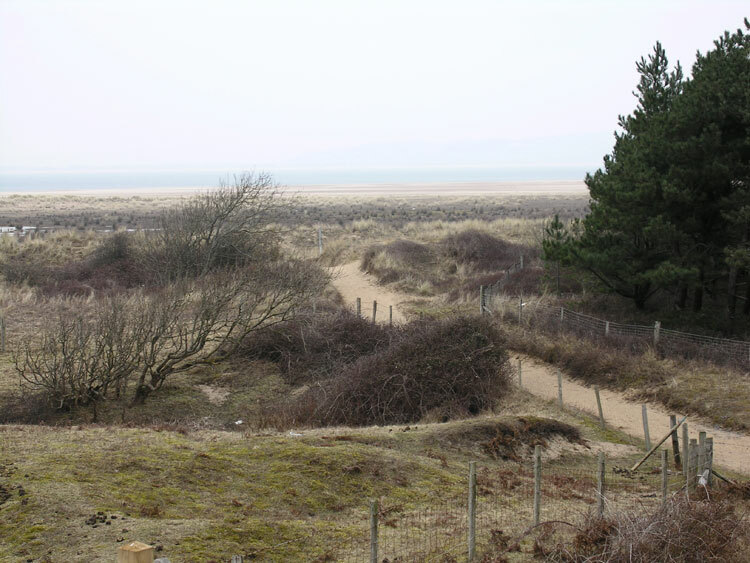 Though some middens are lacking in sound dating evidence it has been speculated that they are of medieval date owing to their location near the top of the dunes. A brooch of early medieval date has also been found in the area. Many parts of Gower's coast were utilised during the Second World War for military training and observation. The remains of a WWII lookout tower and hut are situated among the high dunes in the north of this area. Other remains of a WWII building complex are found elsewhere, including a single storey timber structure known as The Lodge (02582w) now used by the National Trust and CCW as temporary accommodation.